My Second Article for The Conversation. I research space weather. That’s how physicists describe how storms on the sun end up affecting us here on Earth. Most days I sit at a computer coding, attending telephone conference meetings with collaborators across the country and meeting with fellow space physicists. But sprinkled throughout the year I get to do exciting fieldwork in remote locations. We launch high-tech space balloons in an effort to help untangle what happens when charged particles from solar storms hit the Earth’s magnetic field, called its magnetosphere. 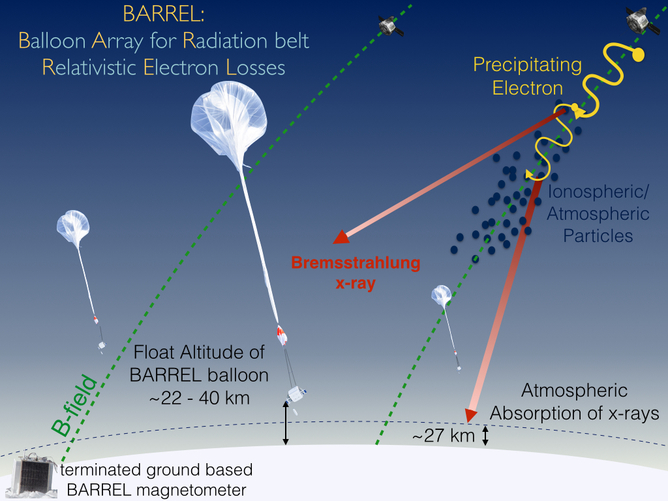 I primarily work with the Balloon Array for Radiation-belt Relativistic Electron Losses (BARREL) mission, led by Robyn Millan here at Dartmouth College. We’re investigating the electrons and protons that travel all the way from the sun and then get trapped in the Earth’s magnetic field. Often they stick around, just bouncing and drifting along in our planet’s so-called radiation belts – these are donut-shaped regions rich in charged particles, held in place around Earth by its magnetic field. 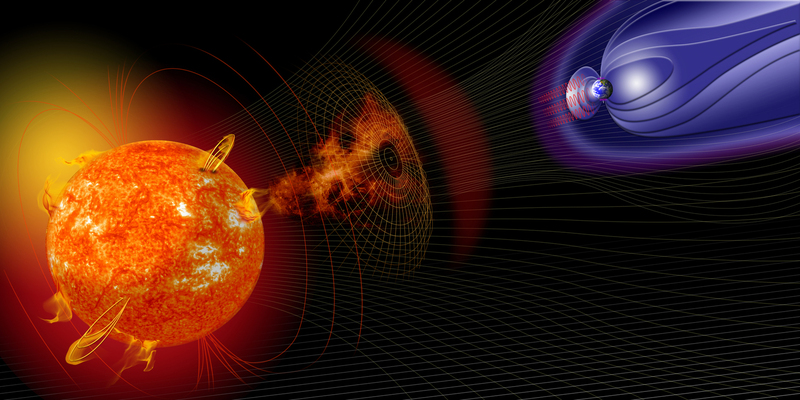 It’s a team effort to unravel how space weather works – and affects us. But during a geomagnetic storm, changes in the Earth’s magnetic field can accelerate and transport these electrons and protons. They can wind up getting “lost”: shot out of the radiation belts back into space or down into our atmosphere. If they start colliding with neutral, uncharged particles in the atmosphere, that can affect upper atmospheric chemistry – and be bad news for our technology down here on Earth. For example, geomagnetic storms can cause blackouts, increased corrosion in pipelines, destruction of satellites and a resulting loss of communication connections. My colleagues and I focus on the radiation belt electrons that get lost to the Earth’s atmosphere. If we can unravel more about what’s happening with them, the hope is we can figure out how to better predict space weather – and its effects on terrestrial weather. Ultimately, with better understanding of what’s going on, we can work on protecting our technology from these geomagnetic squalls. You can think of the Earth as a big bar magnet, like the kind you might have had in your elementary school classroom. 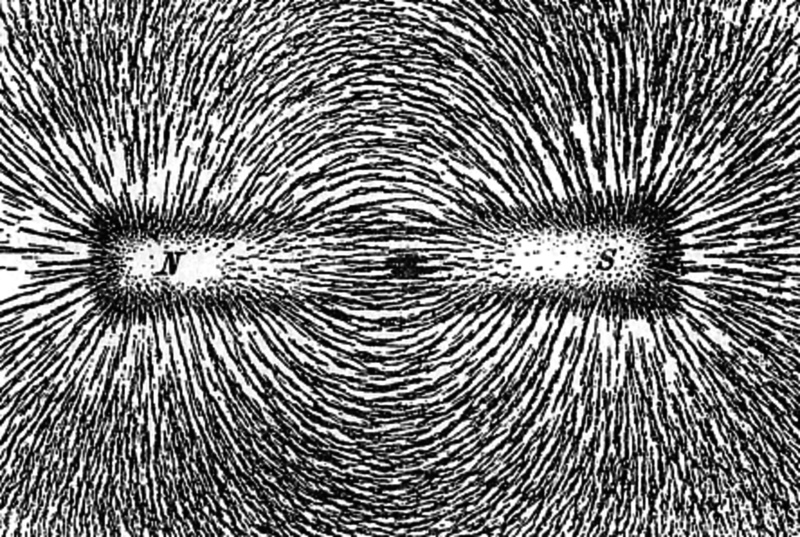 You’re probably familiar with magnets' attractive and repulsive properties. 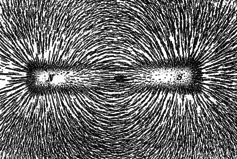 Around a bar magnet, iron shavings trace out what we can think of as lines of magnetic field. Since space is so big, and the density of particles is so small, they can usually travel without bumping into each other. But during geomagnetic activity – like a storm in space – the particles can get pushed farther down the field line, closer to the Earth. In a process similar to what creates the auroras, they start colliding with the denser atmosphere. And this is when some of the charged particles wind up “lost” from the radiation belts. 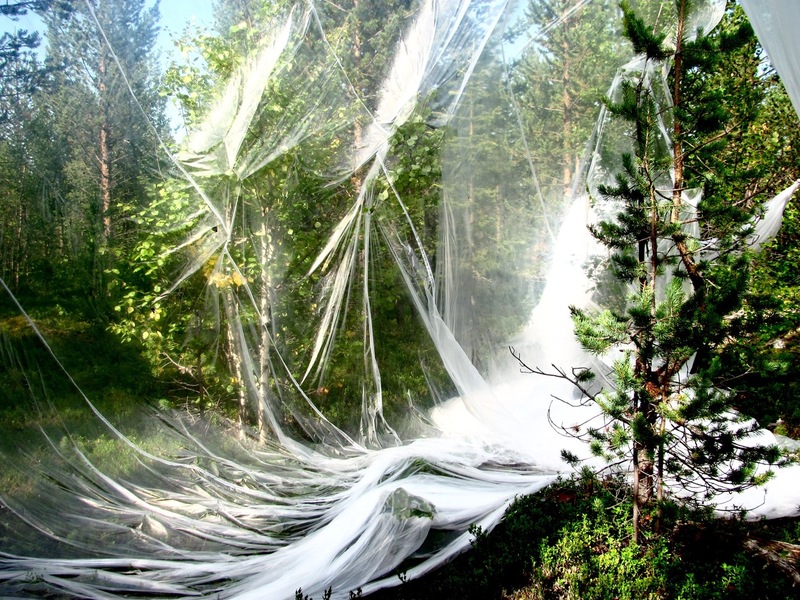 What happens to the “lost” particles that seem to disappear in the atmosphere, and why? To answer these questions, we travel to the polar regions to collect data. 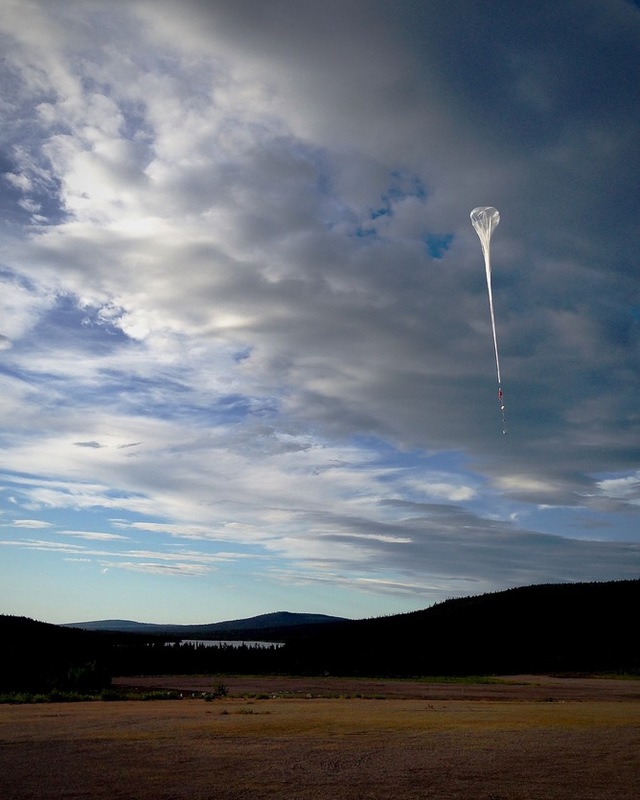 This year we headed 90 miles above the Arctic Circle to the Swedish Space Corporation’s ESRANGE to launch our space balloons. 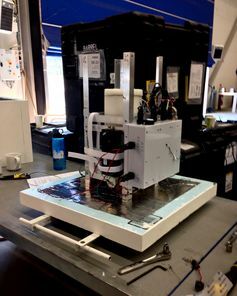 Our goal is to send the balloons up as far as 22 miles (35 km) into the stratosphere to measure X-rays during a geomagnetic storm; since X-rays are created when electrons from the radiation belts interact with uncharged particles in the atmosphere, we can use them to infer when electrons are lost. Each balloon carries a payload of scientific equipment. A scintillator counts X-rays. A magnetometer measures the magnetic field of the Earth. Each payload and balloon has its own GPS tracker. During our last campaigns in Antarctica, we were flying during a period of circumpolar winds that blow long and hard in a circle around the poles. This allowed our 300,000-cubic-foot balloons to stay up, on average, for 12 days. This year in Sweden, though, we flew during a period called “turnaround,” when the stratospheric winds are changing direction, and our flights were lucky to last even four hours. BARREL balloons fly in Antarctica. When the balloon either starts falling below an altitude of 13.6 miles (22 km), or starts moving toward too densely populated regions, we have to terminate – that is, pop – the balloon. The balloon and the payload then separately fall back to Earth. When our BARREL balloons flew in Antarctica, we weren’t able to recover most of them because the terrain was so difficult to cross. 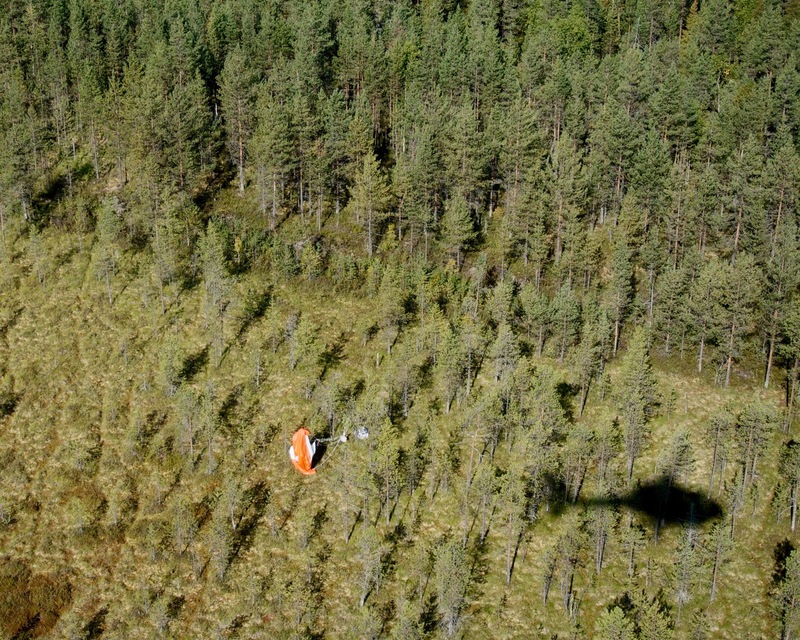 This year in Sweden we were able to recover all the payloads. When they came down close to the launch base, we drove out and hiked through bogs and woods to retrieve payloads and balloons. 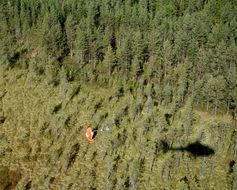 When they flew a bit farther away (like into Norway or Finland), we had to rent a helicopter to travel out and pick them up. During the campaign, when we’re launching the balloons, we’re in constant contact with the instrument teams on NASA’s Van Allen Probes as well as other satellite missions. We work together, trying to predict when satellites will be lined up along the same magnetic field lines with the balloons. That way we can look at high-resolution data the satellites are collecting in space on the same magnetic field lines at the same time our balloons are flying. We want to make links between space conditions and our X-ray readings, which stand in for how many electrons are being lost to the atmosphere. There’s still a lot to do once we wrap up the campaign and head home with our new data – the measurements taken in the magnetosphere during what are essentially space hurricanes. It takes plenty of ingenuity to translate the raw data into scientific understanding, and we have to do a lot of processing and analyzing. Our “lost” electrons interact with neutral particles in the atmosphere, producing the X-rays our balloons measure. The X-rays let us infer the energy of electrons we’re interested in. We combine our BARREL observations with those of satellites and other ground-based instruments to sort out how much energy the “lost” electrons had before they were lost. No single data set gives us the full picture, so we have to collaborate, fitting each piece of the puzzle together. The size and number of particles in the radiation belts can change drastically over short periods of time. Knowing how much energy the electron had before it got lost to the atmosphere, how large a region this phenomenon occurs over and how frequently this occurs gives us a better understanding of how the radiation belts work. 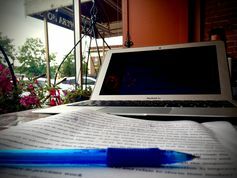 This fall, we’re starting to write up papers and put together presentations about our research to share with colleagues. We were incredibly lucky with this campaign. Every balloon that we sent up got some amazing data! Here’s hoping we’re one step closer to understanding the dynamics of the Earth’s radiation belts. Call for papers to JGR special issue. With the end of the third BARREL campaign, we talked a bit about having a special issue for BARREL. But, we're just one small project. So we decided to expand. If BARREL is one thing, it's a collaborating machine! So in the fashion of collaboration, we're happy to state that we have a call out for papers to a JGR special issue. Manuscripts are invited for a joint special issue between JGR-Space Physics and JGR-Atmospheres on recent advances in energetic (~10 keV - 10 MeV) electron loss in the magnetosphere and the impacts of energetic precipitation on the atmosphere. We welcome submissions on the study of processes that cause energetic precipitation and quantify the relative importance of precipitation versus magnetopause loss for the radiation belts and ring current. There is evidence that energetic precipitation may have significant impacts on the atmosphere through the production of odd hydrogen (HOx) and odd nitrogen (NOx), which can affect ozone chemistry, and lead to modification of atmospheric dynamics in the polar regions. This special issue welcomes observational studies that use historical or recent data sets as well as theoretical studies of electron loss and its impacts. 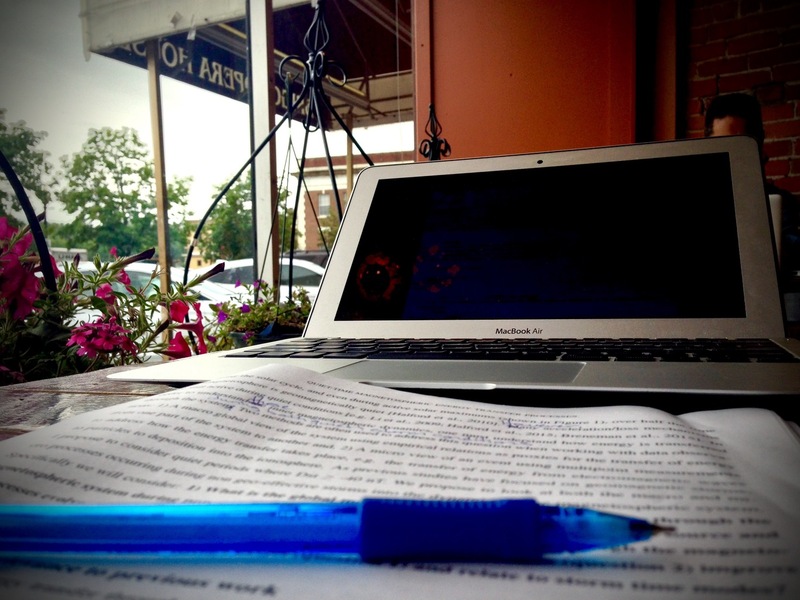 Manuscripts should be submitted through the JGR: Atmospheres or JGR: Space Physics web sites. For additional information please contact jgr-atmospheres@agu.org or jgr-spacephysics@agu.org.